Kaden turned 3 years old over a week ago and we’ve been on our self-paced reading program for 9 months now. Wow, how time flies and bit by bit we’ve been making progress. Yay! We’ve finally completed his reading program last Friday! Recently, Kaden started to read words off signboards. Two weeks ago, while we were inside the lift of a shopping mall, Kaden looked around and pointed to the sign above the lift buttons and read out loud, “17 persons”. The gentleman who was inside the lift with us, looked at where Kaden had pointed, turned and looked at his girlfriend/wife in amazement and said, “He can read! That same week, while on board the public bus on the way to his Pre-Nursery school, he pointed to the lightbox with the lighted up red words “Bus Stopping” and read them. Last week, we took a bus which has only the word “Stopping” and Kaden pointed that out to me and asked me where’s the word “bus”? Then on the way walking towards his school, we had to pass through this double-deck carpark. He looked at the sign on one of the walls and went “Deck 1”. After his class and on the way home inside the bus, he suddenly blurted out “fire” while pointing to the transparent casing storing the fire extinguisher. Kaden has this habit where he would sometimes pick up a book, flip through the pages, and stare intensely at the illustrations. He could be sitting with the book for over 10 minutes. It started probably a year ago. As he grew older, he would occasionally ask questions pertaining to the illustrations. 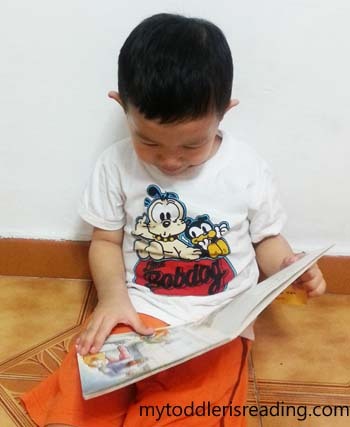 A week ago, I saw him looking through one of his storybooks again. This time, he did something more. He was reading off the sentences on his own without prompting! Though he didn’t start reading from the beginning and continue to the end, I was more than pleased. Recently we bought him a new book, “The Cat in the Mask” by Kick Crossley. 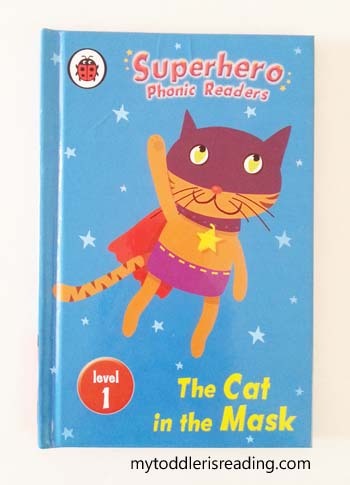 This book is part of the Superhero Phonic Readers by LadyBird. It’s designed for children who have learnt their letters and sounds in school. Giving the book a quick browse, I feel that this will be an appropriate book for his current reading level. When asked to, he started reading the first few pages aloud. Then he stopped and wanted me to do the reading instead. In such instances, I would usually carry on where he left off. I also did further story elaborations along the way when he asked questions about the illustrations. I believe with a little prodding and guidance, he would have been able to read the whole book. Maybe another time. I’m beginning to see more clues of him practicing his reading skills. After 9 months of home lessons with the Children Learning Reading program, I’m happy to witness these results! Now the we’ve completed both Stages 1 and 2 of the reading program, It’s time to slot in regular reading aloud sessions into our daily routine. 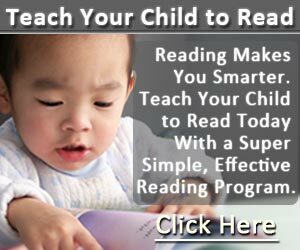 What are some of the clues your kid is giving you that she is reading? Do you have regular read aloud sessions together?